Update two: Longerons torquing for two longerons on Thursday 22 November 2018, the other four should be completed on Saturday after Thanksgiving. Update one: Working over the weekend the periphery bolts were all installed on Tuesday 20 November 2018. 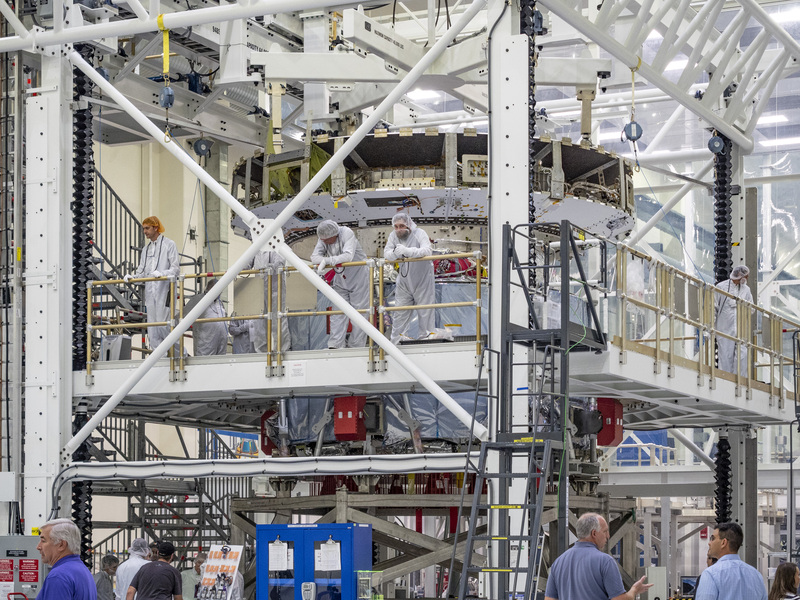 The European Service Module for the Orion spacecraft is at NASA’s Kennedy Space Center in Florida, USA, and ready to be connected to the Crew Module Adapter that will then connect to Crew Module itself. 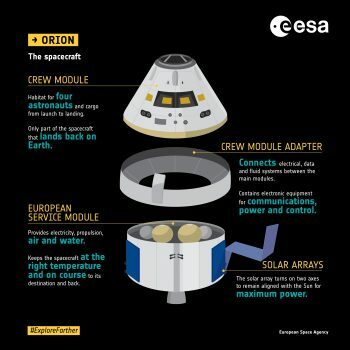 But how do you connect two spacecraft components together, one built in Europe the other built in the US? 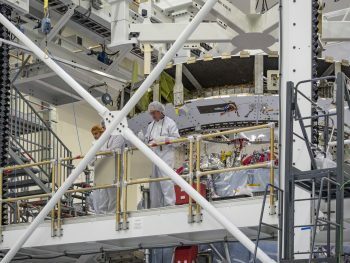 The European Service Module is placed in the Neil Armstrong Operations & Checkout building at Kennedy Space Center and the Crew Module Adapter is hoisted above it. 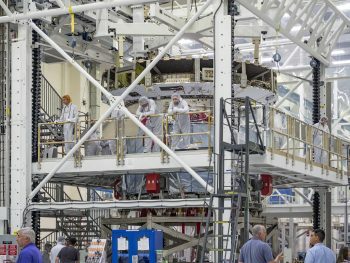 A crane lifts the Crew Module Adapter and lays it in place, but not directly on the European Service Module as you might expect, but on a supporting structure. 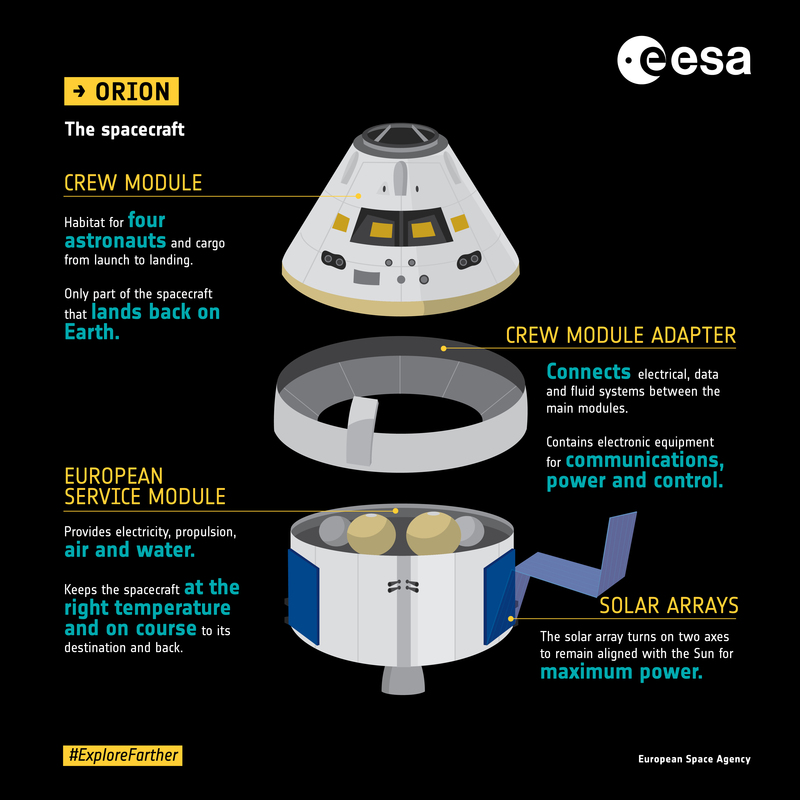 Working from underneath the European Service Module is slowly raised on a mobile platform to connect with the Crew Module Adapter. 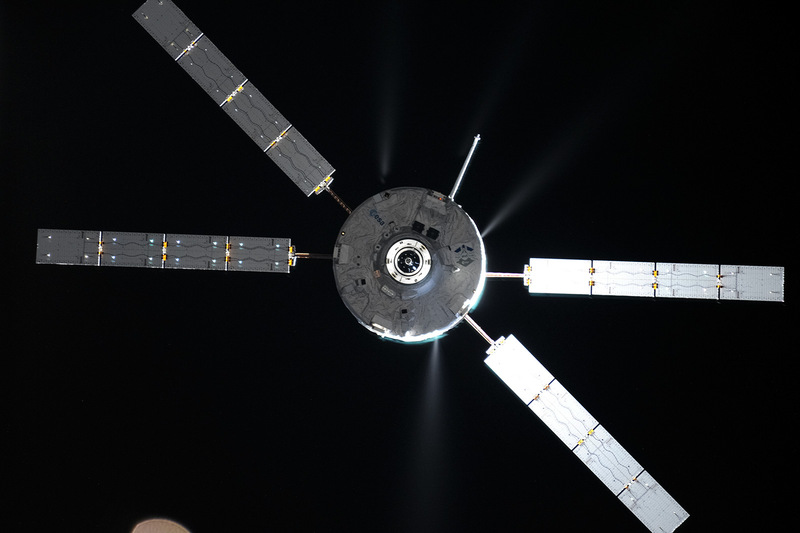 Working this way allows for precision alignment in each direction as the platform can move the European Service Module offering six degrees of movement and rotation. Laser measurements are continuously checked to ensure the slow ride upwards proceeds as planned. 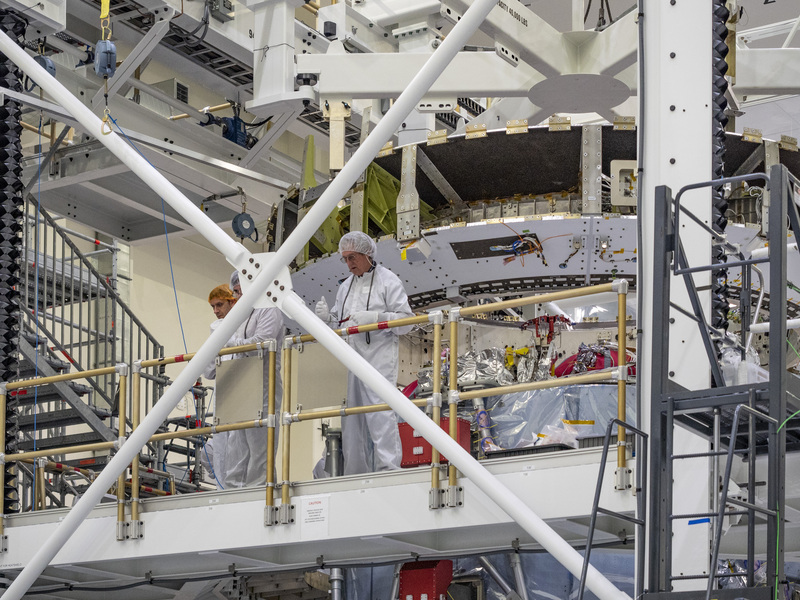 The process is excruciatingly slow for the observer as the platform is raised very slowly at speeds of up to cms an hour, when moving. For the operators that monitor the movement and how the two modules insertion elements align the slowness is key to getting the connection perfect first go. This involves periods of movement followed by long pauses during which checks and measurements (and discussions!) are carried out. Once contact between the two modules is made, extra force is applied from below to continue the mating and alignment with constant checking. 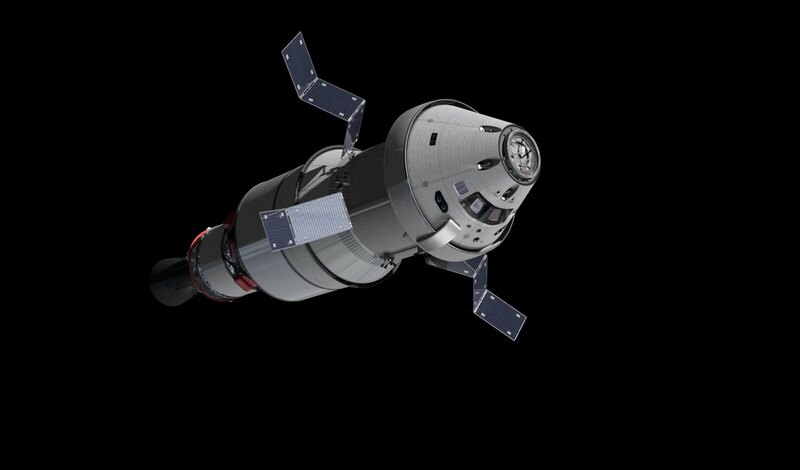 The connecting bolts to keep the modules in place are on the six load-bearing parts of the European Service Module’s structure as well as around its periphery. 192 bolts are needed to keep the structure together and withstand the immense forces of launch and spaceflight. Once the 192 bolts are in place, work will start with the connections for power, data and welding the pipes for the fluids such as water and fuel. 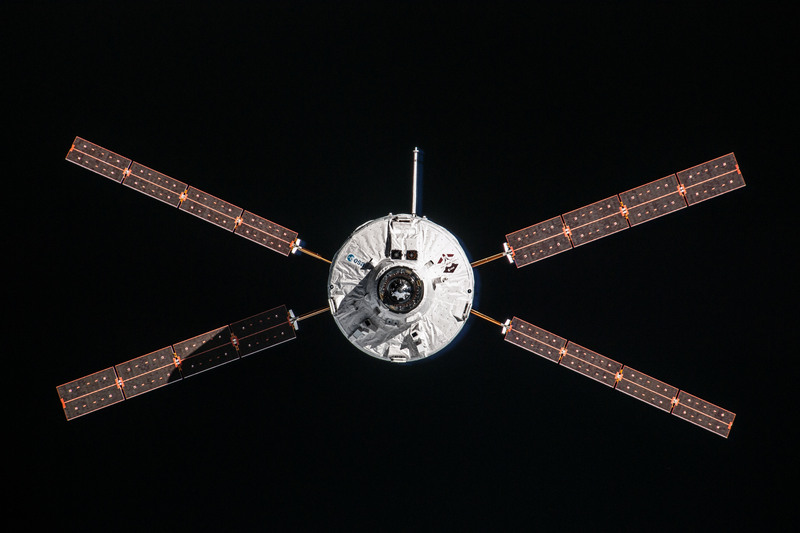 The European Service Module and the Crew Module Adapter first touched each other on Tuesday 13 November and they will never be separated from now on. Working over the weekend the bolts on the periphery of the modules have all been installed.